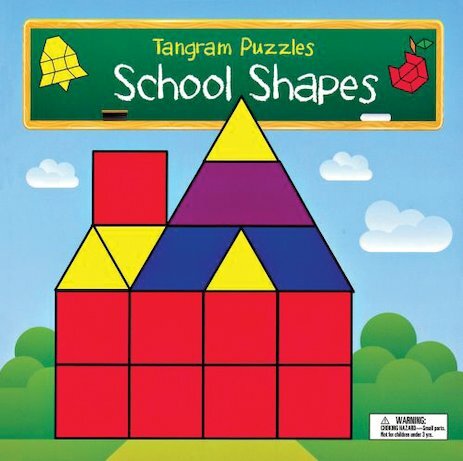 Build your own school with a set of plastic shapes where the only limit is your imagination! 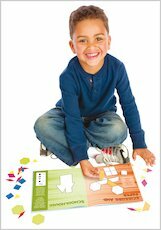 Explore shapes and patterns while creating lots of wonderful things! These colourful magnetic shapes can be arranged in all sorts of school-related combinations, making pictures of schoolhouses, crayons, desks, teachers, pencils and much more. Just follow the patterns inside the book, or use your creativity to invent more of your own. A fabulous learning set that teaches geometry, patterns, and critical thinking! Contents: paperback book with magnetic board, 2 sheets of magnetic shapes and 15 puzzle patterns to make.